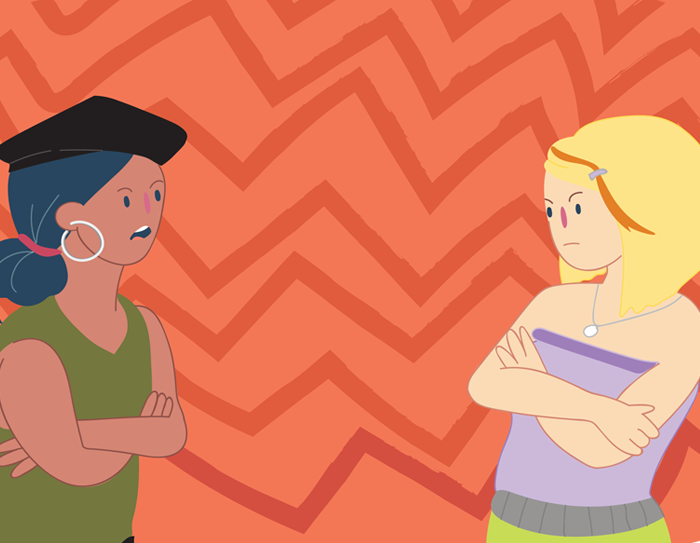 Sometimes friendships can have problems and it can be hard to know what to do. We’ve got some tips to help you out. Even good friends have different interests, values and needs. These differences can sometimes lead to disagreements – and that’s ok! Disagreeing can actually be a sign of a healthy friendship, if it’s done respectfully. While there is no ‘right’ way to resolve a fight, there are some strategies that can help you work things out. The way you act during a fight can have an impact on your friendship. Fights don’t have to have a negative ending! Dealing with or overcoming a fight together can make your friendship stronger. Is it worth losing a friend over? What made you upset, hurt or angry? Who can you talk to outside the situation to gain perspective? What do you want your friend to do or not do? What do you need to be able to overcome this? What’s bothering you the most about this fight? What role might you have played in this fight? How would you like things to be with your friend? What might be going on for your friend to make them act differently? Celebrate – If you’re able to work things out, celebrate by having fun! If you need to talk about what’s going on, Kids Helpline is here for you 24/7.